If you are reading this post, then most probably you are looking to find the answer to the question -‘How to find best selling products on Amazon’. If that is the reason then my friend, you are at the right place! Well, you are not alone in the search of finding the best selling products on Amazon. The queries go on but still cannot find a required answer. By the end of this post, you will have an idea about the best niche to target and what product to sell on Amazon to make maximum profits. Some of the best selling product finding tools such as Jungle Scout that helps to give vital information about products on Amazon. Check out the review of Jungle Scout to unlock 1081+ winning products right here! Undoubtedly, Jungle Scout is one of the greatest tools to find the most profitable items; however, you need to purchase its plan. But, I cannot spend money at the start of my business, how can I find bestseller product on Amazon effectively then? In my humble opinion, there is no better analysis of product than manual analysis. Can I do it manually and in free of cost? Yes, you can and it is so much effective to search best selling products through manual exercise by just getting deep into the search of Amazon’s best sellers list. Trust me it is so much fun! Amazon bestseller page provides all the required data that updates on an hourly basis. Here is what you need to do to search for the best selling products on Amazon. First, go to the page of Amazon bestseller page, you will come across the list of bestselling items based on category. Then always lookout for the category that is eccentric that you can offer in multiple unique ways. For better understanding, I am doing a practical experiment of searching bestselling products on Amazon. Let’s say for the creative product hunt, I select the homemade category. Even in this category, many products have either extreme competition or fewer ways to transform it in different creative ways. As I scroll down the bestselling handmade products list this shot bone glasses seems fascinating. The reason I choose these glasses to make it my best selling product on Amazon is; It is eccentric and right now one it is ranked twice on the bestselling item list. Moreover, you can transform it into different creative ways; you can integrate your product current trends or theme to make it more appealing for the audience. For Example – Game of Thrones is a hot trend right now that has a great niche. GOT glasses are in trend now. By integrating the products – one is currently bestseller and other is an upcoming hot trend – can increase your chances to get in the list of Amazon bestseller. Although these items are in the handmade product category, nonetheless they can be associated with accessories and home & kitchen appliances. Therefore, when searching for a product to sell on Amazon always look out the product that delineates creativity and easy to transform to make it for customization purpose. Bestseller new releases give a broad idea about new and upcoming bestseller products on Amazon. The best way to get an idea by manual analysis is through comparison of current seller product with the new release. Suppose the niche that you want to enter is the ‘home appliances’. To get the broader idea, go through the new release of home appliances, to know what is new in this market. The shower curtain is the top trending product in the new release list in the home & kitchen appliances category. Now check out the same product in the bestseller items. It shows as the eighth best selling item in the category of Home & Kitchen Appliance. It defines that this product has the potential to get on the top of the best selling products list and becomes your store’s star product. By this comparison, you can analyze the potential of a product whose demand is more likely to escalate, and become sought after product. Movers and Shakers tell you about the fluctuation in product’s demand over time. Let’s continue our research with Curtain Shower. So far we have found out that the shower curtains are the trending and among bestselling product. For further research, look out shower curtain in Movers and Shakers to know about its trending position. It shows a positive rise of 35% in its sales rank, which means its demand growing at a good pace. You can also explore its subcategories like shower curtain hook. It is also showing a great positive upward rising demand. Just a reminder, in the first point, I told you to choose the product that you can easily transform in different creative ways easily. Now you will understand it. The reason I choose Shower curtain because it has a huge creative curve in which you can transform this product and make it unique for the consumers. Although, these are still very basic design, it gives a great idea on adding that you can easily add creative element or theme to your product in order to outrank the competition and make it more appealing to your customers. Disclaimer: I am not telling you that shower curtain or shot glass are the best selling products these are just practical examples that used to teach to find out your best product from Amazon best sellers. Most wished item is the list of product that customers add in their cart but do not complete the purchase. This list will tell you about the customer’s wishes that what kind of products they are looking for. It gives you the perceptive about the products that customers want to have first but ended up decided not to complete the acquisition. The reason could be anything either it is the decision of impulse behavior that customer drops the idea of purchase at the end or save it for the future purchase. I also work in an office so I can relate with the most wished items in this category. Whenever I search something online for work, I look for a product that helps me to manage the stuff. However, most of the time I do not complete the purchase either I found out the price higher or let it leave for next time. As I am scrolling down, I found this desk organizer very helpful that influences me in a second to add it in my cart. It ranks at number 11 that shows most of the people like me let it be in their carts. Because this is a kind of product that helps me out to organize but not required on urgent basis. If you add some FOMO element here like a discount or last few items, there are higher chances that I complete my purchase. To understand this technique better, do check out the Voox video Ad that shows the best example of skip-it-and-miss-it. That’s just one example, you need to find out what product in your niche that is the most wished product and make your efforts to make that purchase complete. 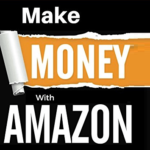 One way or the other you will find your niche and the best selling products on Amazon, however, the job is not done here. You will have to focus on certain things to make your product successful on Amazon. Some of the following points have been mentioned in the post “How to become Amazon seller” I felt a need to mention those points, here again, to make this complete in all aspects. To make profits with the product you have to charge at least 50% to keep yourself on the profit end. This will give you enough gap to scratch-out profits after fulfilling all the expenses. Product with low-profit margin may give you good sales but you will end up having low money on hand that is not worth it. Selling between these thresholds of $5 to $50 has higher chances to make the customer do the impulse buying. In the online world, if people want to purchase a product on higher prices they prefer to go for big brand names to make a big buck purchase. Therefore, you had better to avoid competition with big giants. I have saying this from starting of this post to make your product eccentric from other. You cannot compete in the giant market of Amazon by offering the similar product as your competitors. Add a creative element in your product to make it more appealing for the viewer. This is a trick to get the disappointed customer from a particular niche. Find out the product that has negative reviews and study those reviews thoroughly to understand what customer is exactly expecting from this product. You understanding the need of those disappointed customer you can easily their trust by providing what they want and can make a potential consumer base for your store. I hope this guide come handy for you to learn manual analysis of finding best selling products on Amazon. Before signing off let’s take a quick recap of our guide. Always find a look out for a product that can be integrated with any creative add-on so can integrated it with any upcoming or trending theme. Analyze Amazon’s bestseller products and compare the products with new releases to check out the upcoming trend and future demand of that particular product. Most wished items analysis to check the public analysis the get the ideas of people interest. Last make sure to choose products that make an impulse buying ability, higher profit margin and unique. I am sure by following these steps persistently you will be able to rank in the Amazon bestseller list – Bon voyage! Withintheflow highly value the feedbacks of our readers. So, if you have any ideas or queries regarding Amazon bestselling products feel free to mention them in the comments below.